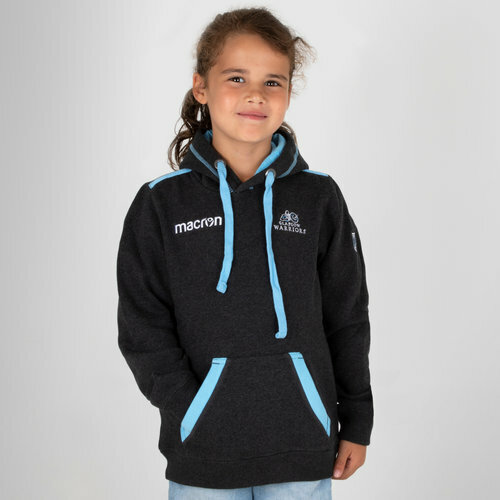 Train to the max and show your support in this Glasgow Warriors 18/19 Kids Heavy Cotton Hooded Rugby Sweat. This performance top is predominantly black, the classic warriors colour. Similar to the away kit this sweatshirt features the sky blue colour that is traditional of the club. The Macron logo is on the right and the club crest is on the left.